Victoria Harrison is a family systems psychotherapist with over 40 years of practice. In an upcoming book, she addresses the importance of studying one’s own family history as part of improving health and functioning in the family. She is faculty at Bowen Center for the Study of the Family in Washington, DC, and directs Center for the Study of Natural Systems and the Family in Houston, Texas. In this work, she witnesses the impact of separation from family and works with individuals to establish relationships with family members and learn more about family history. Separating children from their parents while attempting to cross from Mexico into the United States without authorization often also means separation from the family. Both have adverse affects on the children and parents, the family and future generations. If the public and public officials understand what is now known and what is not yet known about the cumulative effects of reactions to adversity, perhaps other solutions can arise. Can this be a lesson learned? Such unfortunate experiments have been conducted in many countries– with clear results. Between 1910 and 1970, indigenous Australian children were kidnapped and placed with English families to “provide them a better life.” A study of adults removed as children showed that they were less likely to complete secondary education, more likely to have a police record and use illicit drugs, as compared to aboriginal people who grew up with family. Canadian Indian residential schools, the treatment of Native American families, and American Japanese interment camps provide similar examples closer to home. History also teaches the downstream impact of slavery and separation of African American family members on families and society. Separation from family often accompanies other forms of trauma and adversity that are now known to affect several generations. Rachel Yehuda, at the Mount Sinai School of Medicine, is a pioneer in the study of the impact of trauma over generations. Grandchildren of Holocaust survivors, for example, experienced heightened fearfulness, anxiety, and stress responses, even though their own lives were less challenging. The study of trauma and PTSD has expanded to document ways that human biology carries reactions to starvation, persecution, abuse, isolation, adversity and stress into future generations. Altered stress hormones, immune system and metabolic disturbances, inflammation and disruption in brain connectivity play their part in depression and anxiety, obesity, heart problems, diabetes, autoimmune disorders and other chronic illnesses in adult survivors and their descendants. A recent field of research, called epigenetics, studies various ways that stress reactions are passed down over generations through the biology of reproduction and development, as well as through ways family members relate to each other. This non-genomic process influences expression or silencing of genes associated with vulnerability to stress, parental care, and cognition. Additional research documents ways that maternal stress reactions impact fetal development. Infants born after a stressful pregnancy experience higher incidences of low birth weight, early birth, colic, inflammatory symptoms, learning problems and are more sensitive to stressful experiences in childhood. The human brain is at its most plastic during early infancy. Signals from the social environment shape stress-regulating pathways for the developing brain. Human studies have linked adversity during infancy to changes in physical and mental development that add up to cardiovascular and metabolic diseases, altered cognition, mood and behavior in adulthood. Adverse childhood experiences (ACE) research provides further information about effects to consider in policies that enforce separation of children from family. In 1995, CDC and Kaiser Permanente launched one of the largest studies of the impact of childhood stress, abuse and neglect on later-life health and functioning. The association of early childhood adversity with chronic illness as well as with drug and alcohol problems in adults is now widespread. Separation of children from family is a particularly potent stressor. Descendants of children evacuated for their safety from a warzone in Finland during World War II experienced more medical and mental health symptoms in adulthood than grandchildren to those who remained with family. Girls who grow up without their biological father, for a variety of reasons, experience earlier puberty, sexual experience and pregnancy, depression, acting out, interruption of education and other life problems. Connections to family appear to make a significant difference, even under duress. Walter Smith, PhD., Deputy Director for the Office of Children, Youth, and Families in Pittsburgh, Pennsylvania, cites growing evidence that children do better in contact with their own family, even when the family has been abusive, than when they are cut off from family in foster care. Social worker, Phil Klever, has studied the same families for 25 years. Those who have more contact with extended family have less divorce, fewer problems with children, less chronic illness, and no psychiatric hospitalization. The differences are striking for people who have little contact with parents and extended family. Mignonette Keller, PhD, a sociologist at Bowen Center for the Study of the Family, documented the difference it made for both white and black sides of her family to stay in contact with each other before and after the US Civil War. 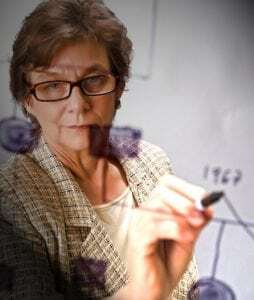 Family therapist, Eileen Gottlieb, in her work with descendants of Holocaust survivors and Katherine Baker, in her study of Russian families who survived persecution observed that those who were able to regain contact with family and know facts of their family history had better health and were able to establish healthier family lives than those who survived but were cut off from their family and past. What is known and what is not yet known about separation from parents and family are both disturbing. People do not all react in exactly the same way to the same adversity. What is the history of adversity and family contact before reaching the Mexico – Texas border? What are the ages of children when they experience the separation? What is the duration of separation? How are children treated during this time? Are siblings separated? These facts likely do make a difference in long term effects of this experience. The extent to which an adult can reverse or modify the impact of generational stress reactions or adverse childhood experiences on his biology, brain and life is not yet known. Who are the resilient ones? What factors contribute toward recovery from adversity? What is the impact on those who enforce the separation of children and parents, and on their families and future generations? Adverse effects of implementing a harmful policy are not well studied. The human brain is designed by nature to experience such reactions as anxiety, distress and happiness in another as one’s own. People who inflict pain on another and do not experience that pain as their own are often diagnosed as sociopaths. People who cannot perceive the consequences of their actions on others are handicapped in marriage and family life. People who experience the pain of others as their own suffer with them, whether they know it or not. 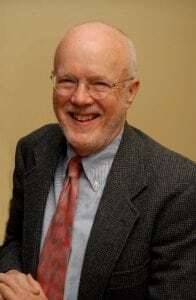 Murray Bowen (1913 – 1990), family researcher and psychiatrist, observed that patterns of reactivity in past generations are predictive for the health and functioning of future generations. He traced the impact of what he called “emotional cutoff” between generations. He also noted that how people function in their family intersects with how people function in society. Anyone can look back in his or her family and find someone who became separated from family. Whole branches of a family may not know that others exist. What were the circumstances? What was the adversity? Many people who grow up with less family contact do not realize that their health and their functioning are affected by such experiences in past generations. History and research document that there are no substitutes for family and contact with family. It is vital that children maintain contact with parents or family. There is enough knowledge from history, from science, and from any family, to take the importance of contact with family into account in formulating policies and programs. Enough is known to warrant funding and program priority toward reconnecting children with family as quickly as possible and toward overcoming the obstacles involved. 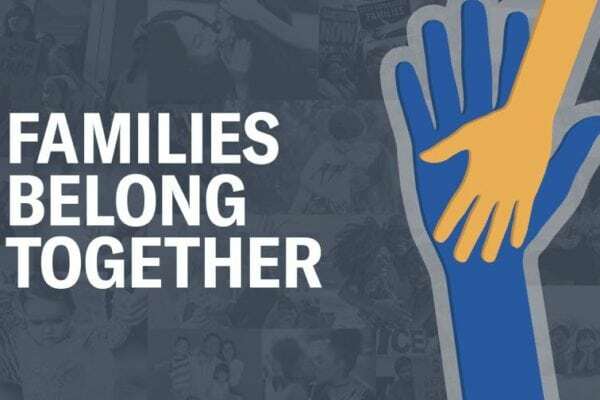 Enough is known to review policies and programs based on their impact on family connections. Can what is known be used now and also for the future? Baker, Katherine and Julia B. Gippenreiter. 1996. “The Effects of Stalin’s Purge on Three Generations of Russian Families.” Family Systems 3(1): 5-35. Bowen, Murray. 1978. Family Therapy in Clinical Practice. New York: Jason Aronson. Bringing Them Home: The ‘Stolen Children’ Report. – Report of the National Inquiry into the Separation of Aboriginal and Torres Strait Islander Children from Their Families. Human Rights and Equal Opportunity Commission. 2005. Champagne, Francis and James Curley. 2015. “Epigenetic Effects of Parental Care within and across Generations.” The Family Emotional System: An Integrative Concept for Theory, Science, and Practice (edited by D.V. Papero and R. J. Noone). New York: Lexington Books. 73-86. Deardorff, J., Kushi, L. Ekwaru, J.P., Ellis, B.J. et al. (2011). Father absence, body mass index, and pubertal timing in girls: Differential effects by family income and ethnicity. Journal of Adolescent Health 48. 441-47. DeNeen L. Brown. “Barbaric: America’s Cruel History of Separating Children from Their Parents” Washington Post. May 31, 2018. Geronimus, Arline. 1996. “What Teen Mothers Know.” Human Nature. 7 (4): 323-52. Gottlieb, Eileen. 2003.f “Cutoff and Holocaust Survivors” Chapter 18 in Emotional Cutoff, edited by Peter Titelman. New York: Routledge. 425-440. Keller, Mignonette 2006. “A Case Study: Efforts toward Differentiation of Self Among Slaves and Their Descendants.” Family Systems 7(2):103-121. Klever, Phil. 2016. “Extended Family Relationships: A Comparison of High and Low Symptom Families.” Family Systems 11(2): 105-132. Meaney, Michael, et al. 2004. “Epigenetic Programming by Maternal Behavior.” Nature Neuroscience 7:847-854. Academy of Sciences 109 Suppl. 2:17200-17207. Miller, Gregory E., et al. 2017. “Mothers’ Childhood Hardship Forecasts Adverse Pregnancy Outcomes: Role of Inflammatory, Lifestyle, and Psychosocial Pathways.” Brain, Behavior, and Immunity Journal 65:11-19. Psychiatric Hospitalization in the Next Generation.” JAMA Psychiatry. 75(1):21-27. Sonia Lupien, Bruce McEwen, et al. 2009. Effects of Stress throughout the LifeSpan on the Brain, Behavior and Congition. Nature Neuroscience. Smith, Walter. Written Communication. June 2018. Stolen Generations. Wikepedia. June 2018. Titelman, Peter. 2003. Emotional Cutoff. New York: Haworth Press. Yehuda, Rachel and Joseph LeDoux. 2007. “Response Variation Following Trauma: A Translational Neuroscience Approach to Understanding PTSD.” Neuron. 56(1): 19-32. Yehuda, Rachel, et al. 2007. “Parental PTSD as a Vulnerability Factor for Low Cortisol Trait in Offspring of Holocaust Survivors.” Archives of General Psychiatry. 64(9): 1040-1048. ———2014. “Influences of Maternal and Paternal PTSD on Epigenetic Regulation of the Glucocorticoid Receptor Gene in Holocaust Survivor Offspring.” American Journal of Psychiatry. 1(8):872-880.